Our scaffolding contractors cater for customers requiring scaffolding on a made to measure basis to ensure that we offer the best fit of scaffolding structures for ultimate safety and satisfaction for all our customers. We are a commercial scaffolding company who can provide you with an endless possibility of scaffolding structures to suit all commercial building types. We offer all types of scaffolding structures on a commercial scale. 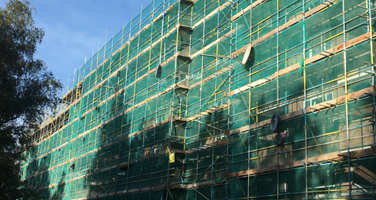 Here at able 1 scaffolding, we have been providing residential scaffolding services for many years and are now well known, around our local area for the exceptional residential scaffolding services which we provide. Looking for a Scaffolding Company? Look no further! Here at Able 1 Scaffolding we have been providing exceptional scaffolding services for many years. 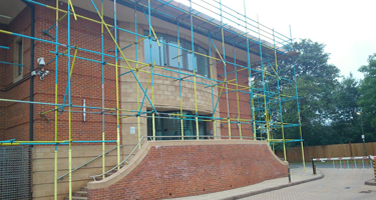 Our Scaffolding Company offer a fully bespoke service and we do not offer predetermined scaffold structures, as we recognise that all buildings, structures and situations are different, which is why our scaffolding services are also different. 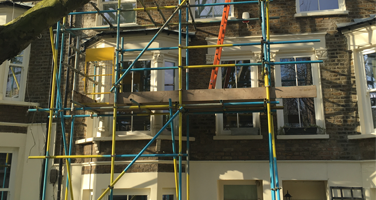 We offer scaffolding services throughout London and we are more than happy to travel to any address, whether it is a scaffolding contract job, or just half a day’s work, no job is considered too small or too big for our team of scaffolders. Our scaffolders, unlike some other companies, are happy to stay on-site and assist other tradesmen as and when necessary, as we believe that if we work with the other tradesmen involved in the work, then the customer will then receive a better quality result because of the relationship we have formed with the relevant tradesmen. To enquire further about our Scaffolding Company, our scaffolders will be happy to accept your calls and emails, any day of the week.